Plan your perfect vacation! Virginia Beach offers one of the most sought after resort areas in the South, and now finding the perfect place to stay is quick and easy. Call or email us today - we'll help you find the perfect beach vacation rental! 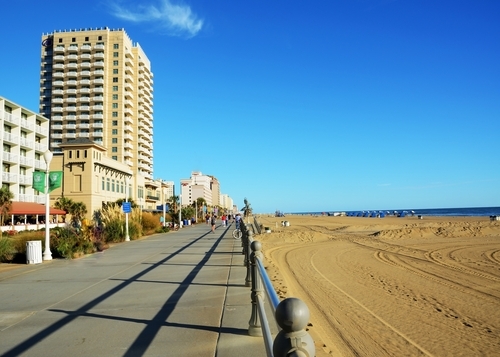 What makes Virginia Beach great? Perhaps it is the long sandy shoreline along the Atlantic Ocean where the view includes swimmers, surfers, boaters, kayaks and any other watercraft to suit your fancy. One of the largest State parks in the area, Seashore State Park with hiking trails, biking trails, beach and boat access. If golf is your game, there are simply too many to mention. The restaurants offer some of the finest seafood fare available in the United States. Main attractions also include the famed Marine Science Museum, Virginia Beach Amphitheater and Ocean Breeze Waterpark. Virginia Beach is also a quick drive to Norfolk and Williamsburg. The boardwalk area has a full calendar of events ranging from national surfing championships to art shows and music festivals.